Autumn outfits, autumn manicures, autumn makeup. Autumn is everywhere! Unfortunately I’m not here to break the cliché, but to confirm the season. Here’s a tutorial for an everyday autumn smokey eye! 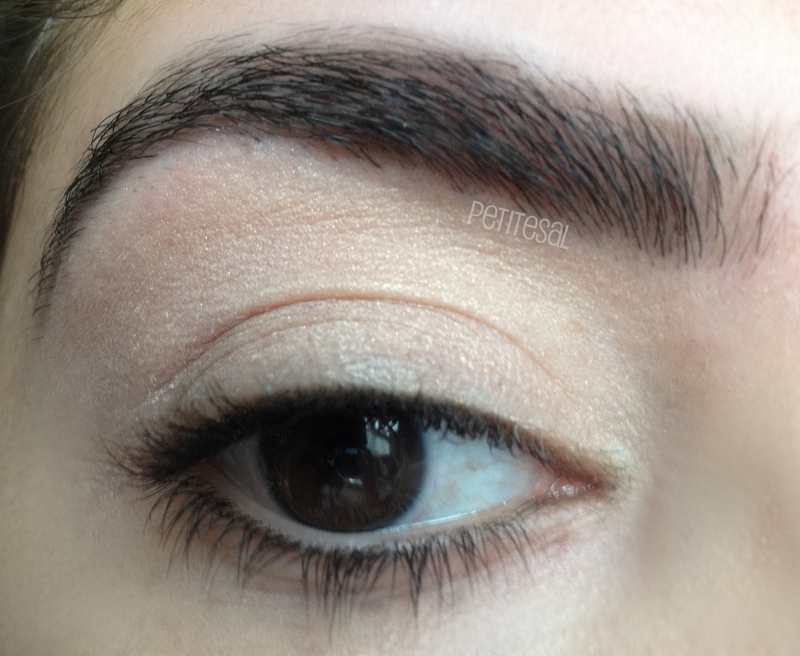 Usually I don't fill in my eyebrows, but I had to this time, because I'm growing my brows out. Not filling them in would look really messy! 1. Start off with priming your face, fill in your eyebrows and apply an eye shadow base on your whole lid, up to your eyebrow. 2. 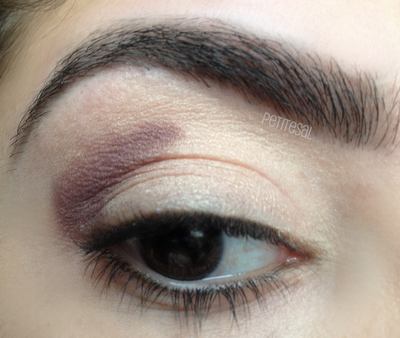 Next, apply an aubergine colour in the outer V of your eye, until the half of your eye. 3. Blend, blend, blend! Blend the colour into your crease. For a nice result, blend upwards! 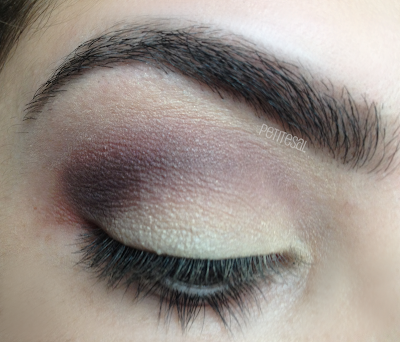 After blending apply a little more of the aubergine colour in the outer V of your eye, just where you applied the colour before. This creates more depth in your look. 4. 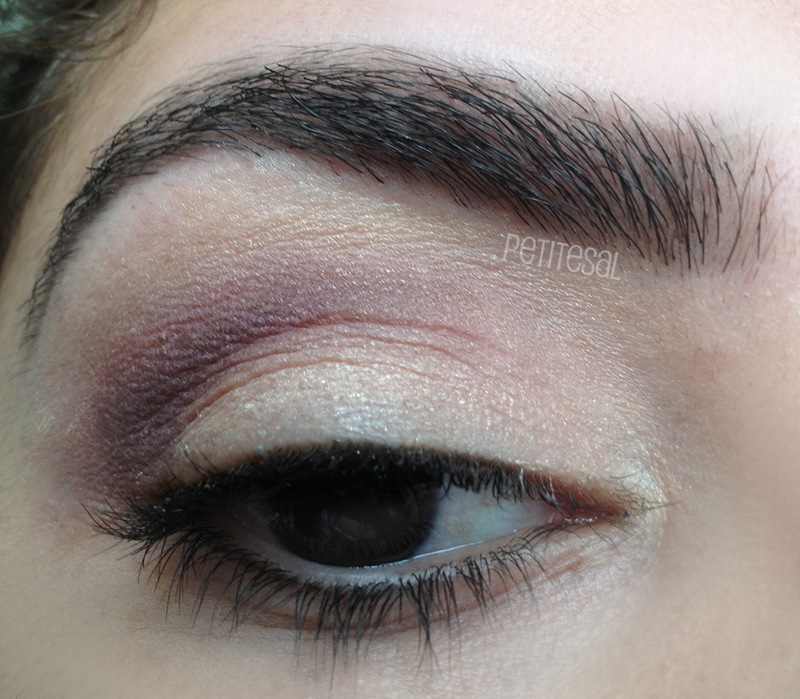 After blending the colour in your crease, apply a vanilla colour on your lid. You can go for a peach colour too, if you want less contrast! 5. 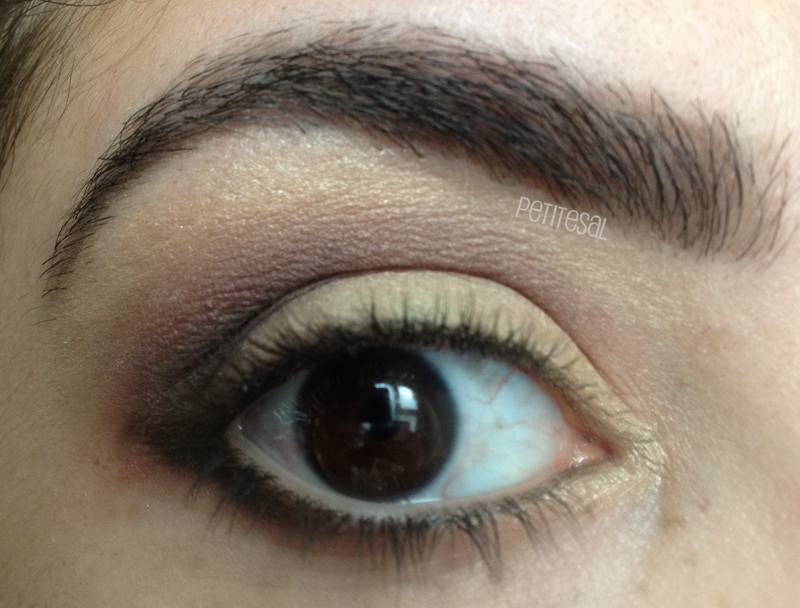 Next, you apply a dark colour, such as a dark brown or a black, in the little V at the outer corner of your eye. And again, blend! This creates even more depth in your look. 6. Then you put a line under your lower lash line with brown pencil eyeliner and smudge this line with a dark brown eye shadow. Next, you apply a highlighter with a gold shimmer in the inner corner of your eye and on your brow bone. 7. After that it’s time for eyeliner! Get your blackest liquid eyeliner and line your upper lash line. 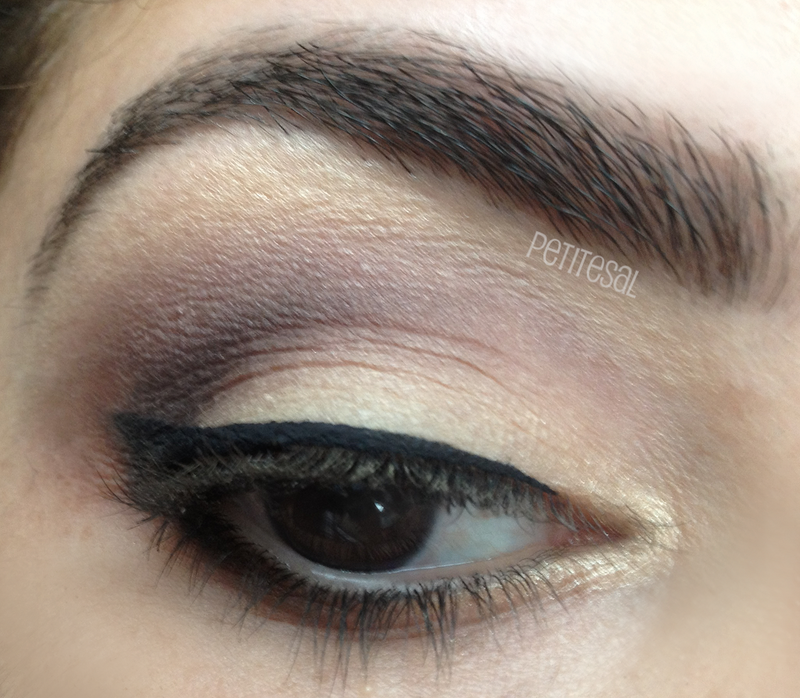 Give your eyeliner a little wing. 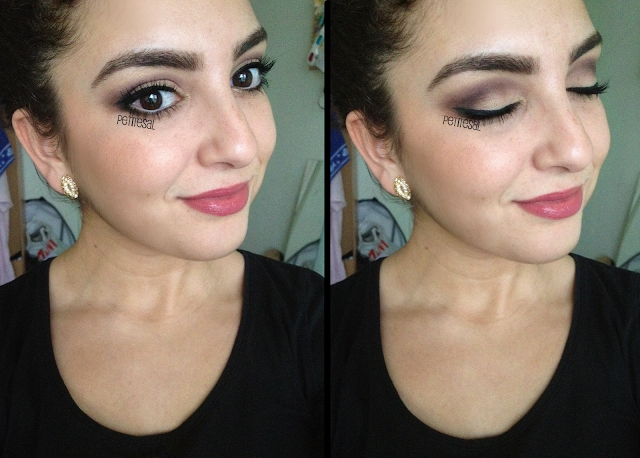 If you want to go more smokey, you can replace your liquid eyeliner with a pencil eyeliner. 8. Almost done! 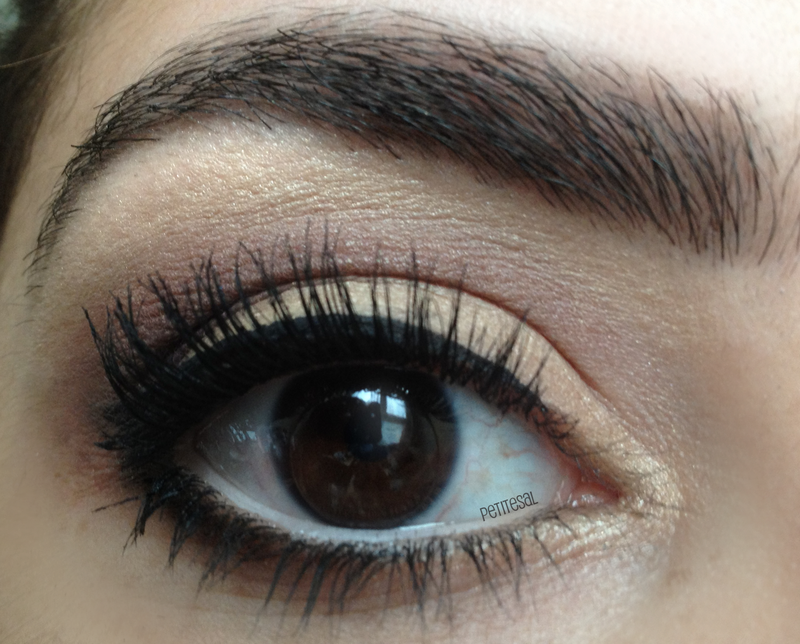 Apply white pencil eyeliner on your waterline, curl your lashes and apply your favourite black mascara. Et voilà! A warm autumn look for every day! 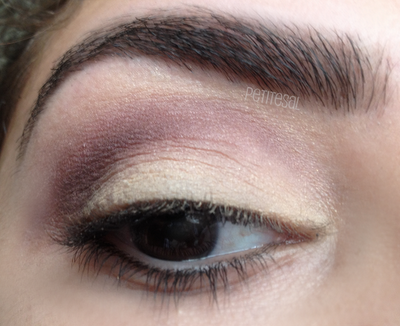 Do you change your makeup with the seasons? 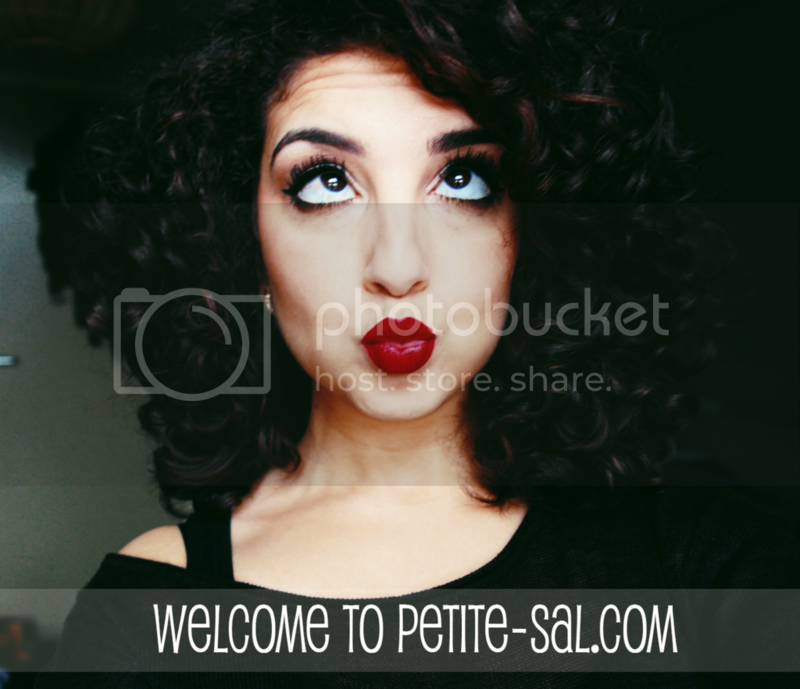 Thanks for the easy to follow pictorials! Great idea, love the shade combination and the lip color. Your lashes look stunning, I want them! See! This would be the perfect topic for a video, and I for one would love to watch them as I'm really rubbish at makeup and would love to actually see how you do it. 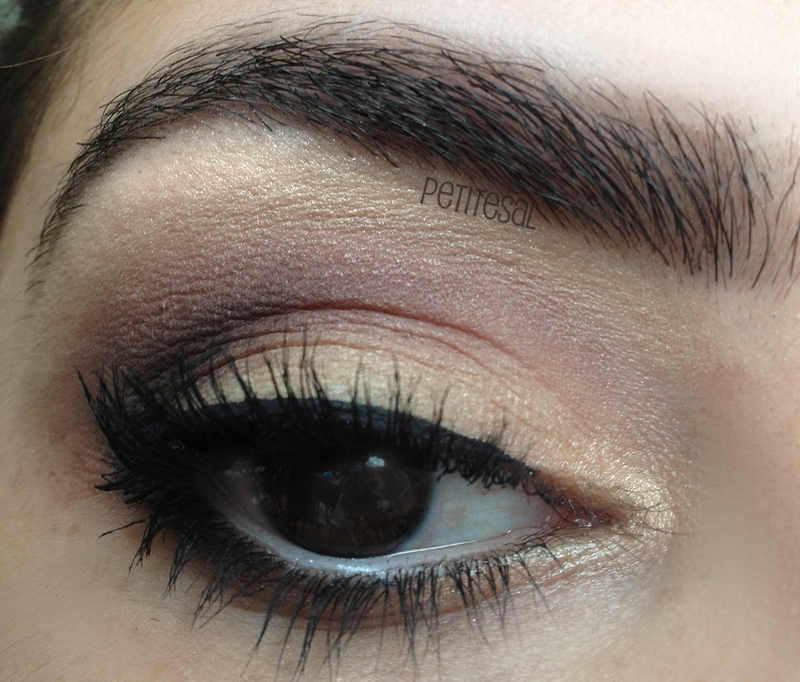 Yet another really pretty look! 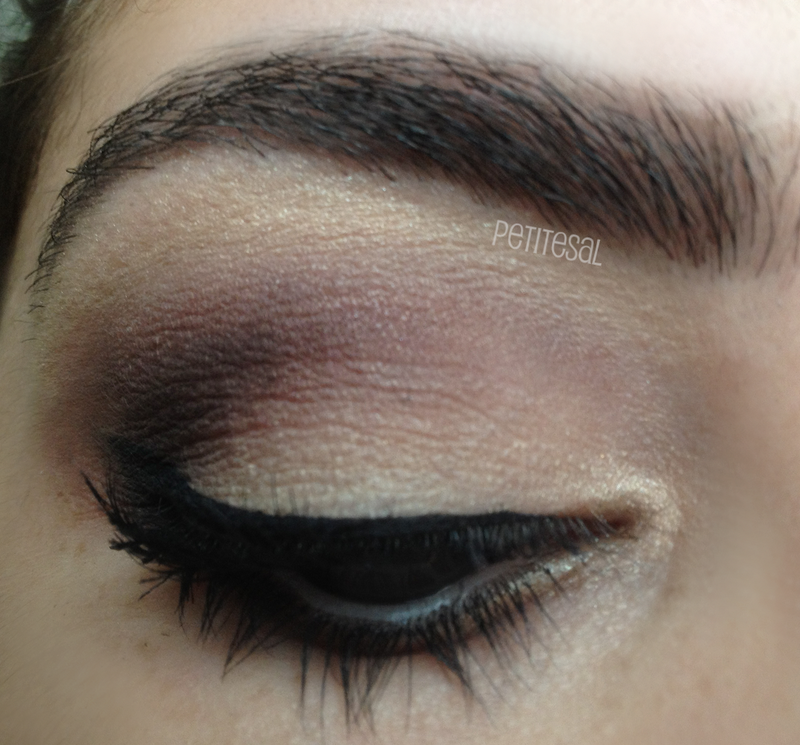 Really nice eye makeup tutorial and your eyes are very pretty!! wow that looks gorgeous on you!